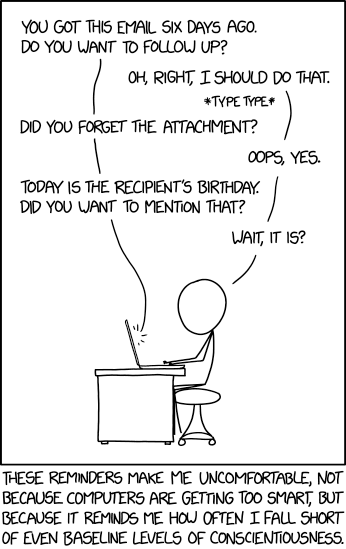 xkcd, as always, gets it bang on why I dislike the smart computers of today correcting and reminding me continuously. And now they also start second guessing what I might say next. I cringe every time that happens.